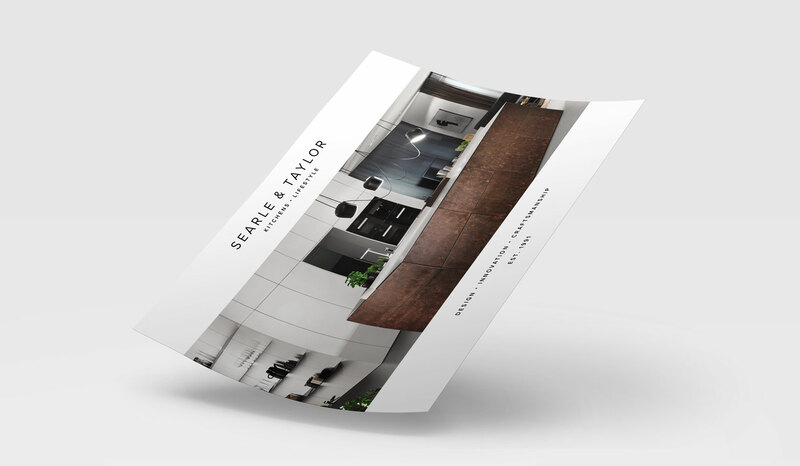 Searle & Taylor’s marketing material, website and stationery were in different styles and didn’t reflect the high standard of kitchens they provide. 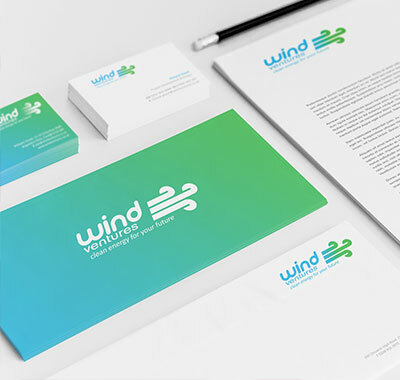 We neatened up their logo and designed monochrome stationery to match. 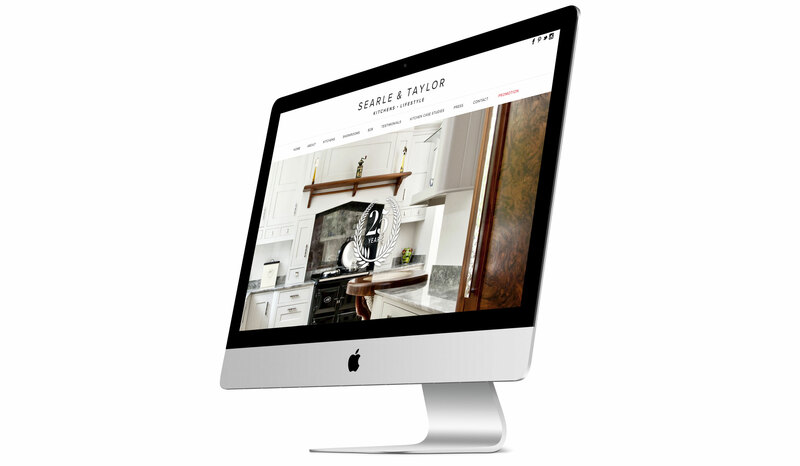 Searle & Taylor came to us needing a new website that not only matched their high quality kitchens, but was responsive and easy to maintain. 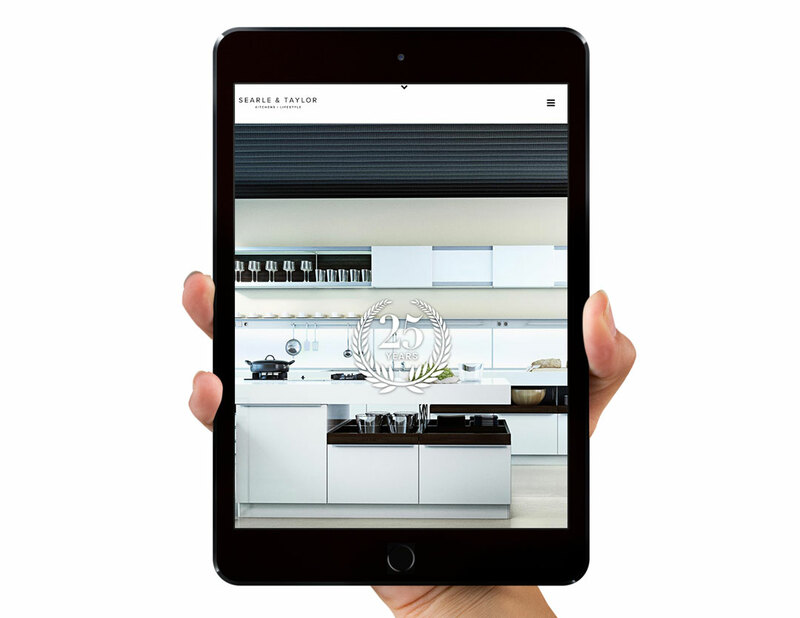 We provided them with a bespoke Wordpress website that focused on their beautiful kitchen imagery and paired this with modern typography and a simple black, white and grey colour palette. 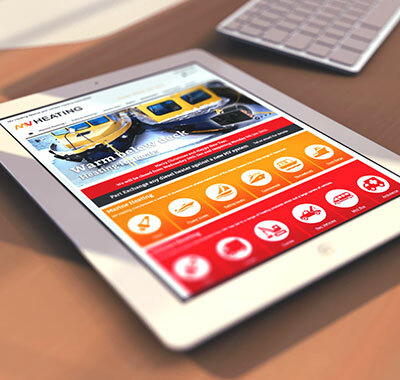 We create targeted advertisements on Searle and Taylor’s social media platforms in order to reach potential new customers and increase brand awareness. 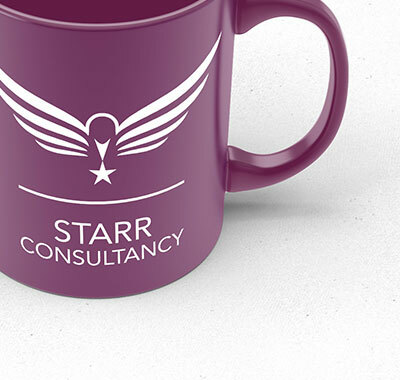 We publish regular, relevant and interesting posts on a variety of platforms in order to gain a following for their brand. 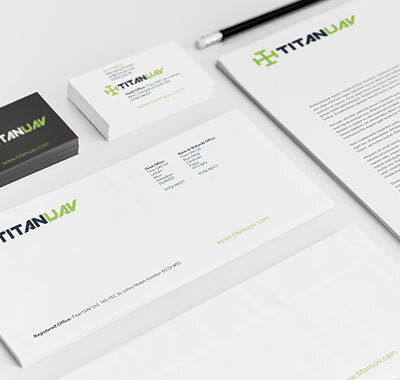 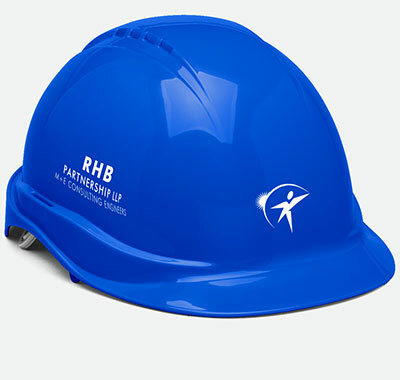 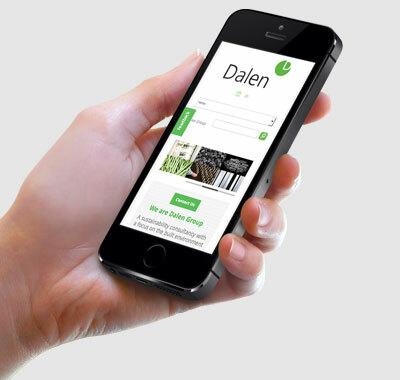 A large part of our work is creating marketing materials, such as print and digital advertising, all following the style developed for the website. 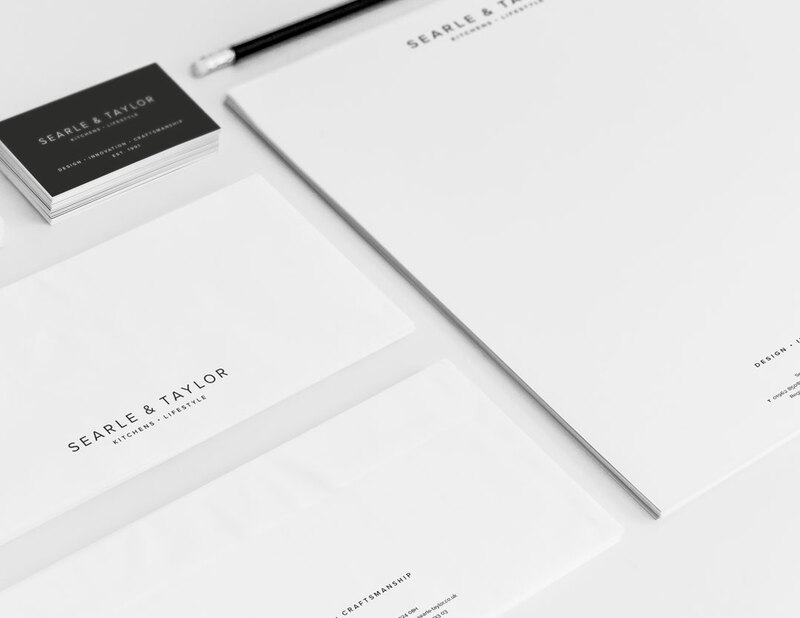 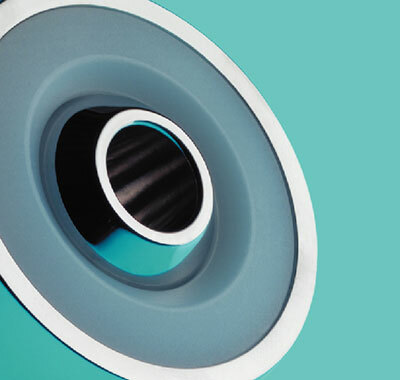 We work closely with Searle & Taylor’s PR company. 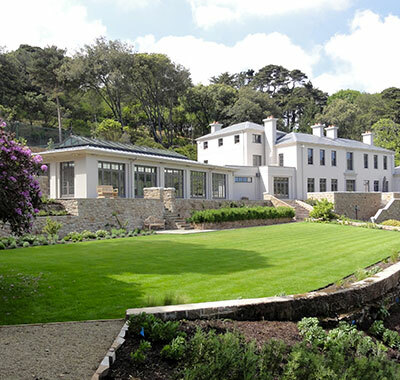 2017 has been an exciting year for Searle & Taylor as they are celebrating 25 years in business. 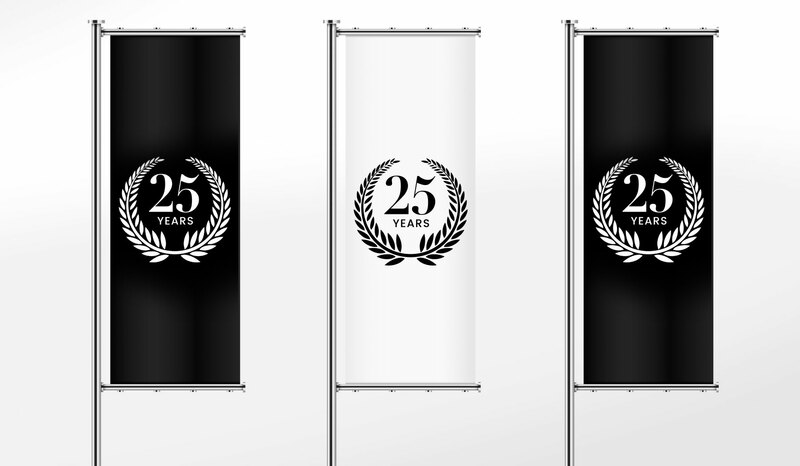 To promote this longevity, we developed a campaign for a variety of applications, including a bespoke ‘25’ logo.